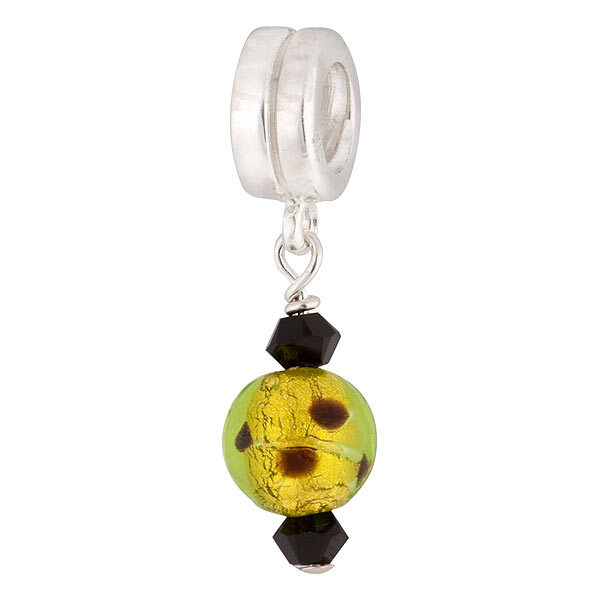 Swarovski crystals accent the delicately placed black dots through this PERLAVITA charm featuring genuine Murano glass. Underneath the peridot green glass is 24kt gold foil creating a richly toned bead. Compatible with PERLAVITA jewelry as well as Pandora and Chamilia beads and charms.